The purchase of a pleasure craft from a taxable person in terms of VAT – company or entrepreneurial – in Spain in principle obliges payment of the VAT at the general tax rate of 21%. We have to distinguish several cases. The seller is an individual not acting as entrepreneurial: in this case the acquisition is subject to Spanish Transfer Tax at 4% if the buyer is resident for tax purposes in Spain and theoretically if the vessel is in Spain or has port base in Spain. In article 6 of the Royal Legislative Decree 1/1993 that rules the Transfer Tax is said that: “the tax shall be required: A) by the onerous patrimonial transmissions of goods and rights, whatever their nature, if they are located, or could be exercised or fulfilled in Spanish territory or in foreign territory, when, in the latter case, the taxable person is considered resident for tax purposes in Spain.” That means that attending to the strict sense of the wording any transmission in Spanish waters might attract in theory Spanish Transfer Tax. However, evidence of this tax is only requested when registering the vessel in the Spanish Ship´s Registry. This tax is filed through model 620. If the seller is another EU VAT taxable person and the purchaser wants to affect the vessel to bona fide yacht chartering business e.g. chartering exclusively to third parties at market rates etc. the acquisition can be treated as a zero-rated Intra-EC. This is also called reverse charge and means that the acquisition VAT will be accounted for in Spain and will be recovered in the same tax returns on the basis that the purchaser – company or entrepreneurial – is recorded for VAT in Spain and is making taxable supplies of chartering. This is applicable no matter if the vessel is new or second hand. These tax obligations are filed through quarterly and yearly returns and Intra-EC declaration (models – 303 , 390 and 349). If the buyer in Spain is n individual and is buying a new vessel for private use Intra-EC Vat is also due and is paid through model 309. If the seller is non-EU and the vessel is delivered in Spanish waters the Import VAT at 21% is due – and under 12 m LOA also 1,7% custom duty which is irrecoverable) and filed through a Custom Agent at the Spanish Customs through the so called “Single Administrative Document” SAD or DUA). 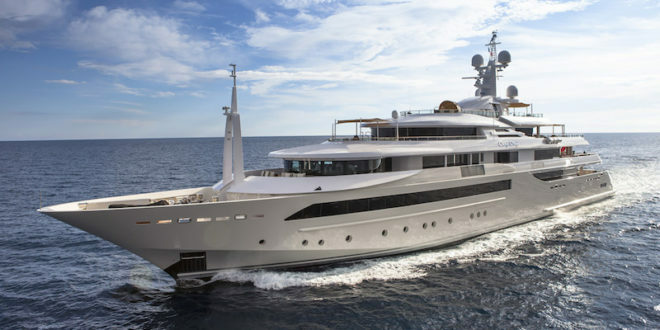 However if the individual beneficial owner of the vessel and the vessel flies non-EU flag the yacht might be within 18 months in EU waters under Temporary Import VAT relief. These are general outlines but please do not forget that it is very difficult to set general terms in a such a complex matter like the VAT in yachting – as not all the Member States have incorporated in equal way the dispositions of the EU 6th Directive and also have different interpretation – so that we strongly recommend you to take tax and legal advice before signing any Memorandum of Agreement and check the specific case.